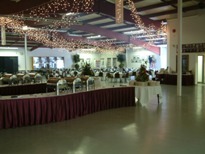 The idyllic setting of Centennial Park will impress your guests and have them talking about how perfect everything was. 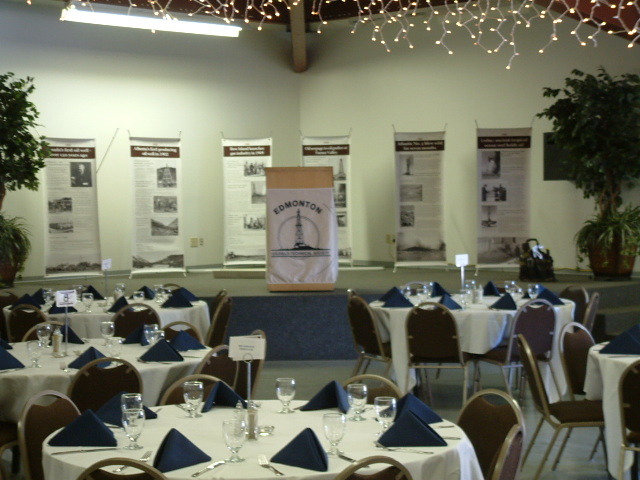 Whether you are planning an intimate gathering for a few friends or associates or a catered banquet for several hundred, Centennial Park can adapt to your needs. The Fin Lineham Pavilion was built in 1988-1989. 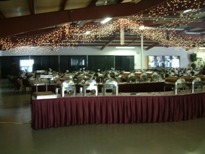 The all-weather, air-conditioned pavilion can accommodate small or large functions, with seating for up to 763. 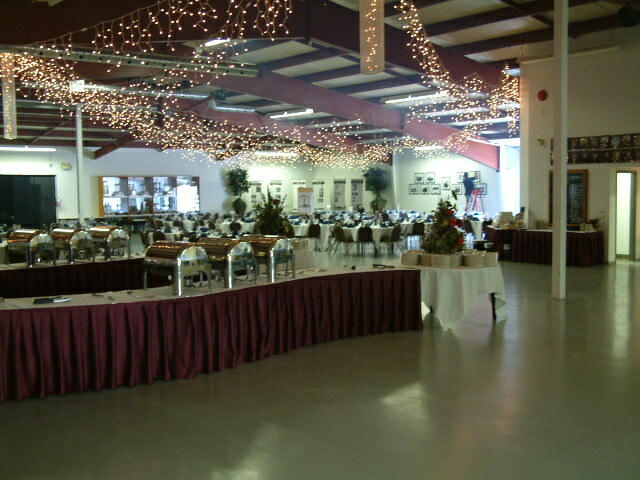 The hall features a food prep area with two coolers and a freezer, a large stage and a fireplace. There is also a beautiful, large deck built in 2012, with seating for up to 165. Fountain pop system and sound system are available for an extra fee. 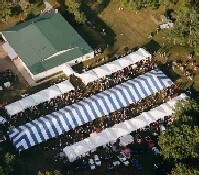 The 10-acre park is well-suited for picnics and other outdoor events and activities. In addition to the world class museum, the park features horseshoe pits, a playground and a firepit. For a fee, lImited overnight camping is available at the park; RVs only, no tenting allowed. There are no water, power or sewage hookups. 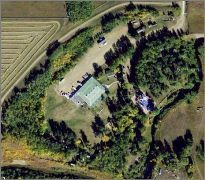 The Park / Hall can only be rented by members and non-members of the Edmonton Oilfield Technical Society. 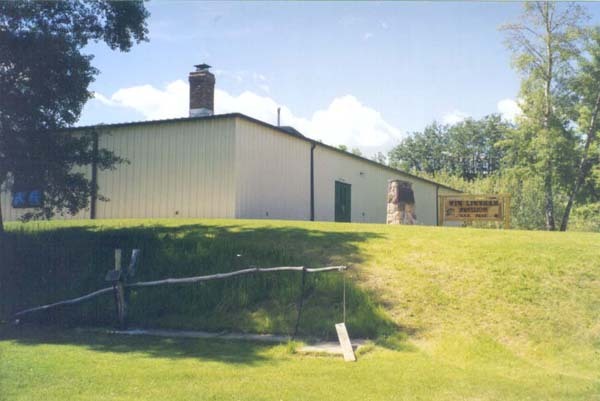 The daily Member's Park / Hall rental rate is $700.00 plus GST for the first 100 people and $3.00 plus GST for any additional people. The daily Non-Member's Park / Hall rental rate is $800.00 plus GST for the first 100 people and $3.00 plus GST for any additional people. An additional charge of $200.00 plus GST will be applied for all wedding ceremonies held at the park. 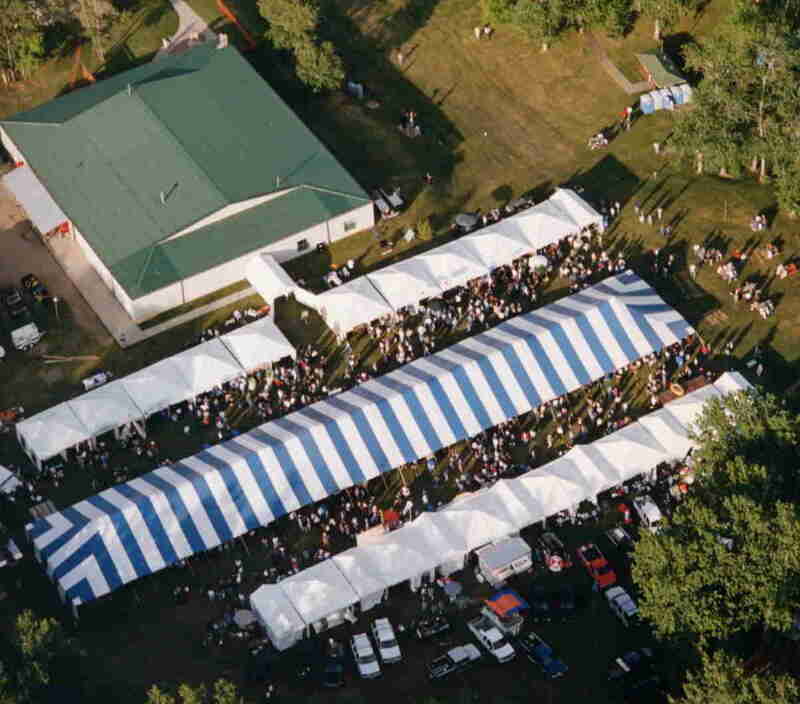 Park rental only, with no access to the Hall and must use the port-a-potties with less than 100 people: Members - $400.00 per functions, Non-Members - $500.00 per function. This rate is valid only from Monday to Thursday. See the Park Rental Calendar for available dates. If you are interested in Holding a Date please fill out this form.